Pet First Aid Kit | Labra Co. The Labra Pet First Aid Kit is the perfect solution when your pet suffers an injury away from home. 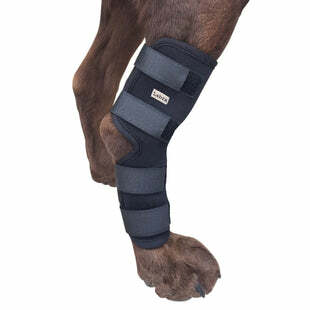 Don’t worry about your pet being injured on your next hike or walk. Stay prepared for emergencies with our lightweight and portable pet first aid kit. The Labra Pet First Aid Kit will even fit inside most dog backpacks! • 1x Triangle Bandage 53" X 38" X 38"
• 1x Woven Bandage Roll 14.5' X 2"
• 4x Non-woven Pads 2" X 2"